Physicists from the University of Texas at Dallas (UT Dallas) have reported a new discovery related to the electrical properties of materials that could be utilized for the fabrication of next-generation transistors and electronics. Dr. 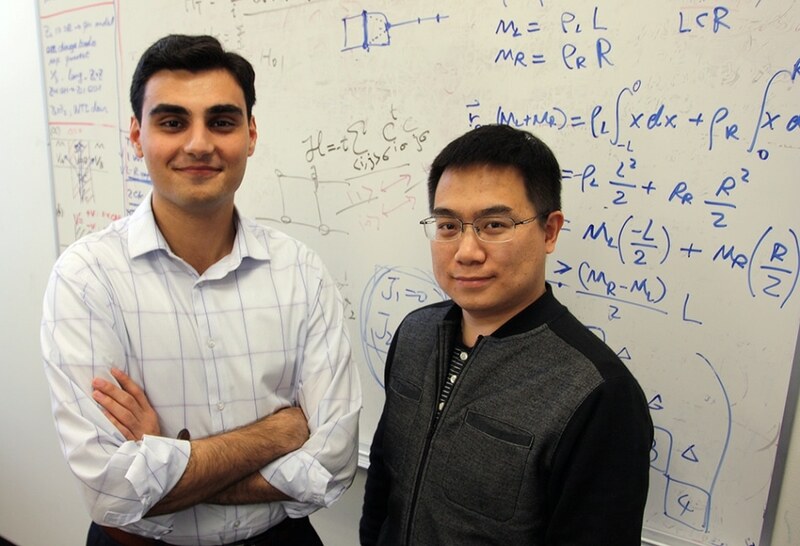 Fan Zhang, assistant professor of physics, and senior physics student Armin Khamoshi recently reported their analysis of transition metal dichalcogenides (TMDs) in the Nature Communications journal. Zhang is a co-corresponding author and Khamoshi is a co-lead author of the paper, which also involved collaborating researchers from Hong Kong University of Science and Technology. In recent years, engineers and scientists have paid immense attention toward TMDs partly due to their superiority over graphene, which is a one-atom thick, two-dimensional sheet of carbon atoms arranged in a lattice. From the time it was first discovered in the year 2004, various studies have been carried out on graphene as a substitute for traditional semiconductors used in transistors, considerably reducing their size. As electrons move with high mobility and easily in graphene, it is an excellent conductor. It was thought that graphene could be used in transistors, but in transistors, you need to be able to switch the electric current on and off. With graphene, however, the current cannot be easily switched off. While searching for substitutes, engineers and scientists concentrated on TMDs that can be easily made into thin, two-dimensional sheets (i.e. monolayers) only a few molecules thick. According to Khamoshi, one main challenge is to optimize and enhance the mobility of electrons in TMDs, which will be a crucial factor for them to be developed and used in transistors. In one of their recent projects, Zhang and Khamoshi presented their theoretical work to lead the Hong Kong group through the layer-by-layer fabrication of a TMD device as well as the application of magnetic fields to analyze the mobility of electrons through the device. Each of the monolayers in a TMD is three molecules thick, where the layers are sandwiched between two sheets of boron nitride molecules. The behavior of electrons controls the behavior of these materials. We want to make use of highly mobile electrons, but it is very challenging. Our collaborators in Hong Kong made significant progress in that direction by devising a way to significantly increase electron mobility. The team found out that the behavior of electrons in the TMDs was dependent on whether an even or odd number of TMD layers were used. As the TMDs function on the scale of individual electrons and atoms, the scientists integrated quantum physics with their theories and observations. In contrast to classical physics, where the behavior of large-scale objects that can be seen and felt is described, quantum physics relates to the behavior of very small particles such as electrons. Considering the size scale of common electrical devices, the behavior of electrons traveling through wires is similar to that of a stream of particles. However, in the quantum domain, electrons have wave-like behavior, and in the presence of a magnetic field, the two-dimensional material’s electrical transverse conductance is no longer stream-like. In contrast, it gets altered in discrete steps, Zhang stated. This phenomenon is known as quantum Hall conductance. Quantum Hall conductance might change one step by one step, or two steps by two steps, and so on. We found that if we used an even number of TMD layers in our device, there was a 12-step quantum conductance. If we applied a strong enough magnetic field to it, it would change by six steps at a time. When an odd number of layers were used in combination with a low magnetic field, the outcome was a six-step quantum Hall conductance in the TMDs. However, under stronger magnetic fields, the outcome was a 3-step by 3-step.phenomenon. The UT Dallas Research Enhancement Funds, National Science Foundation, and UT Dallas Undergraduate Research Scholar Awards partly supported this research.